On the example of Zotac GeForce 8800 GT AMP edition PCI-E 512MB DDR3 (700/2000 MHz), PCI-E. 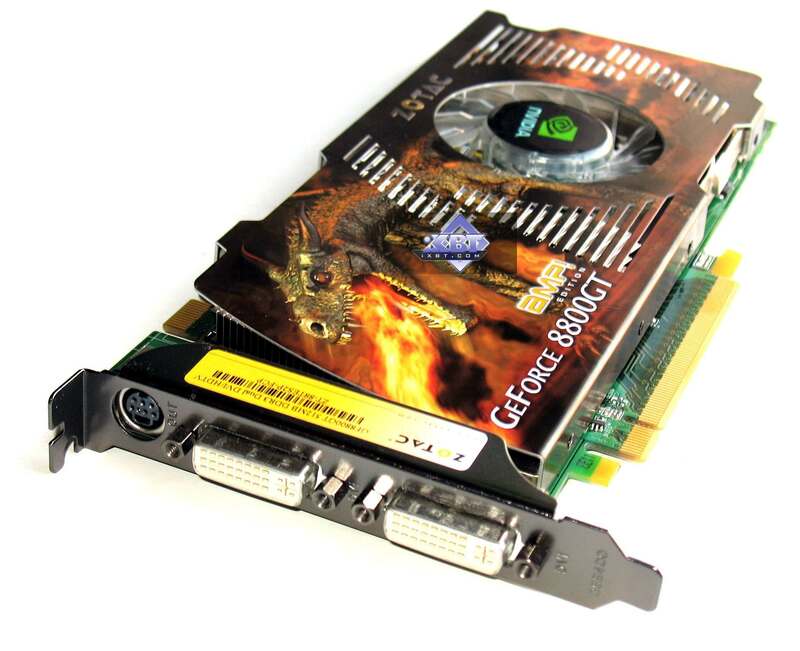 This graphics card supports DirectX 10. This mid-end product of the new generation supports all innovations, including DX10 shaders. 1.0ns fetch corresponds to the 1000 (2000) MHz clock rate. You can read more on GeForce 8 Series in our reviews. On January 15, 2008 the latest drivers from NVIDIA were 169.28 beta for Windows XP/Vista. For the provided graphics card.